Fresh, seasonal salads are an excellent starter for great meals and showcases for creativity, and here we have the famous red radicchio from Treviso partnering nicely with pine nuts and alici, the smallest, most delicate members of the sardine family. Note: Alici are the smallest and most delicate of the sardine family. They are traditionally pickled fresh with a mild onion, then chopped fine and used in antipasto dishes. As a substitute, use half the amount of sardines in salt that have been rinsed and soaked a couple of times to remove the overly strong salt flavor. Clean, wash and shred the radicchio root. 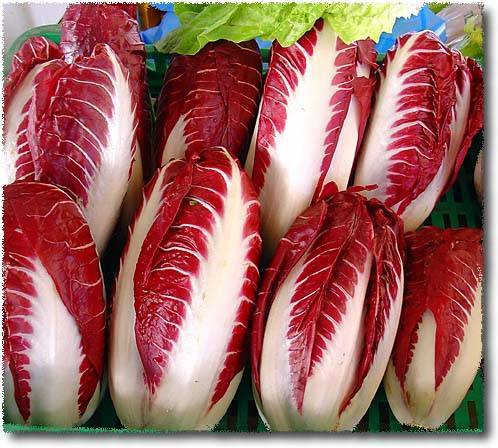 Wash the radicchio, shake out the moisture, and shred the leaves to uniform size. Combine the ingredients in a bowl, mix thoroughly and serve. Recipe Tip! 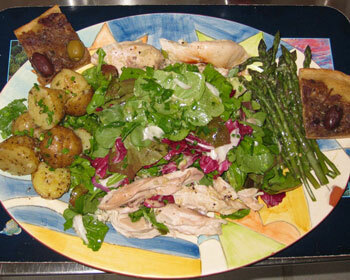 This traditional antipasto goes extremely well with a moderate white wine.